1. 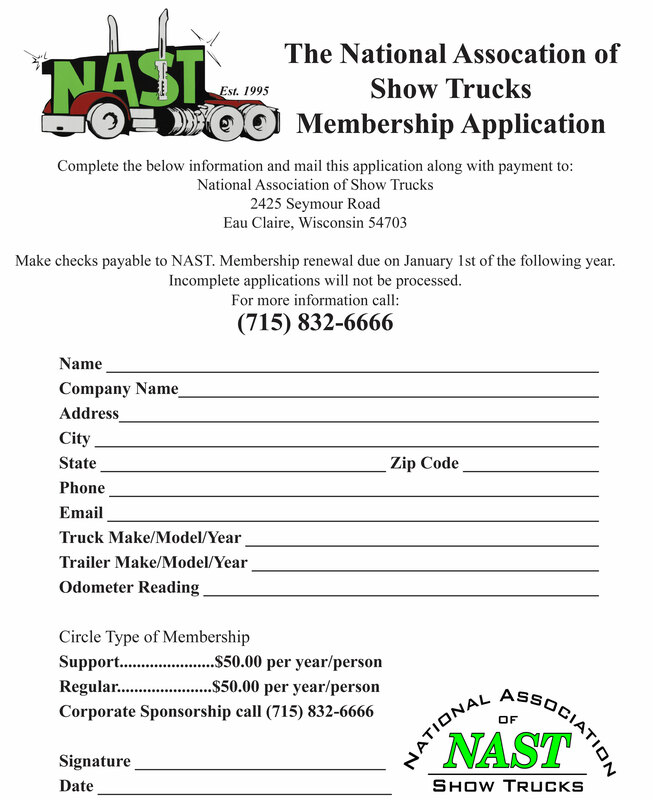 A person interested in truck show competitions and wants information on upcoming events can join as an Support Member. 2. An owner or driver of a Class 7 or 8 truck can join as a Regular Member. 3. Any company can become a Corporate Sponsor. A Corporate Sponsor would receive free advertising in the NAST Show Time Magazine published 4 times a year and have a chance to promote their products to NAST members. Their logo will appear on the NAST Transport as it travels the country. 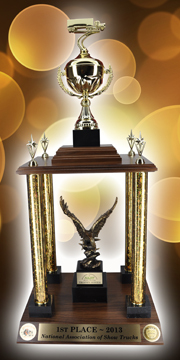 Call (715) 832-6666 for more information. Membership dues and donations are used to print newsletters, pay general office expenses and support approved events. All officers and directors of NAST work on a volunteer basis. Make checks payable to NAST. NAST reserves the right of refusal. All members will receive a membership card, license plate and each Show Time Magazine edition that year. Membership renewal is due on January 1st of the following year.